Automated Liquid Handling Systems, Laboratory Dilution & Liquid Transfer System | Questron Technologies Corp. 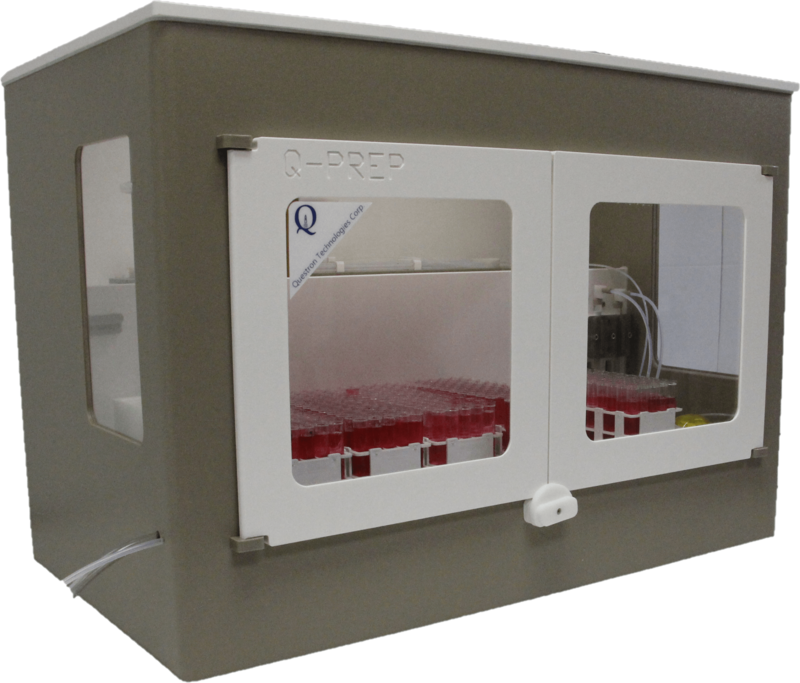 The QPrep Automated Workstation provides an integrated solution for precise sample Laboratory dilutions, Liquid Transfers, dispensing and other Automated Liquid Handling Systems functions for the laboratory. 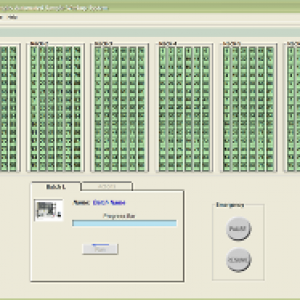 The system is designed to handle precise reagent delivery for a large number of samples in multiple rack configurations. Automating the handling of expensive and hazardous chemicals helps to increase the profitability and safety of the laboratory. The QPrep is controlled by a PC and the software is easy to use and customize for standard and unique applications. 0.02 ml accuracy in handling reagents. Syringe capacity from 5 ml to 25 ml. 0.5 to 2 ml/sec reagent flow rate for the peristaltic pump. Continuous flow syringe pump speeds up dispensing without compromising accuracy. PTFE-coated graphite probe for the accuracy of vial access and ease of cleaning. Accepts multiple types and sizes of racks at the same time. Unique combined action of the syringe pump and peristaltic pump delivers accuracy, flexibility and speed. Driven by user-specified methodology through integrated PC software. All-plastic construction prevents corrosion and contamination. 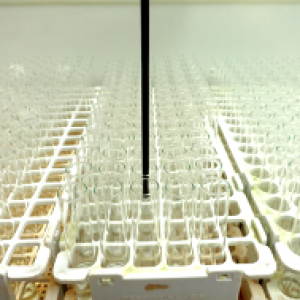 Accommodates 6 standard autosampler racks. An option of a customised rack to hold QC standards. Easily configurable to accommodate a wide selection of racks. An option of HEPA filter enclosure. An option of mobile stand to support QPrep, PC and reagent bottles. All samples require some form of preparation prior to study or analysis by mass spectrometry to reduce the sample in ionic form and to adjust concentrations appropriate for the spectrometer. Proper sample preparation is critical for mass spectrometry analysis, because the quality and reproducibility of sample extraction and preparation significantly impact results from mass spectrometry systems instruments. Questron’s QPrep, Automated Liquid Handling and Dispensing System reduce the time spent on repetitive pipetting tasks at any throughput level. We offer systems ideal for medium or high throughput applications, meeting multiple Automated Liquid Handling Systems requirements. 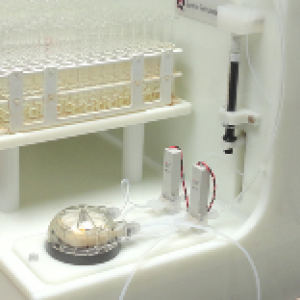 Automated Sample preparation is highly important to perform analytical procedures. Errors caused by sample preparation may be greater than those by analysis, depending on objectives and subjects of analysis. Therefore, sample preparation must be done very carefully. In most analyses, a portion of the sample is analyzed, and the results are used to represent the total composition of the sample. Questron’s QPrep, the Automated Sample Preparation System, enhances laboratory productivity by minimizing resource allocation for repetitive tasks such as Laboratory dilution, and Liquid Transfers to analysis devices This enables the re-purposing of lab staff to mission critical tasks such as data analysis, reporting, and notebook documentation. Automated procedures improving analyst safety by minimizing exposure to hazardous reagents and samples. With QPrep discover the ultimate in precision engineering, performance, and craftsmanship. Its modular design allows the lab to optimize storage, device integration, and transport space without sacrificing deck space. As a result, rely our Automated Sample Preparation system for Liquid Handling, Dilution, Sampling, and Transfers to process more samples in less time without risk of error or variability.